Friday night is film night in our house. Our front room becomes our cinema and of course no visit to the cinema is complete without popcorn. I was sent some popcorn samples to try and I purchased some to add to the list to make this a fair fight! The reviews are from my kids, as who better to review popcorn! Popcorn, Indiana, innovator of popcorn and whole grain snacks, is changing the way today’s consumers snack – one delicious kernel at a time. The brand is dedicated to making the best-tasting snacks on the planet, handcrafted for sharing and creating delicious memories with friends and family. All Popcorn, Indiana products are certified gluten-free by the GFCO, made from non-GMO corn and contain whole grains. 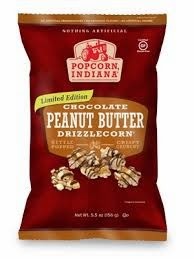 Popcorn, Indiana snacks are available at national, regional and local retailers across the US and Canada. "Tasty but a bit softer than normal popcorn"
"Would be better with more chocolate"
Both boys ate this happily but both mentioned that with the toppings on it, it makes the popcorn a little softer than normal. I have made a popcorn rocky road before and I think that might have been where the comment- needs more chocolate comes from. On the other hand I think most things would be better with more chocolate so perhaps its just genetic! Chicago Mix combines caramel corn and cheese corn in the same bag for a perfect combination of tastes that kids and parents both enjoy. The caramel corn is made the old-fashioned way: by hand, in copper kettles. Cane sugar, brown rice syrup (a non-GMO alternative to corn syrup with a lower glycemic impact) and real butter is heated over a flame and then stirred slowly by hand to develop its rich complex flavor and crunch. For the cheese corn, real aged cheddar cheese is melted in special kettles and then gently mixed with locally-grown popcorn. "Crunchy and sweet- totally yummy!" "Do we have any more, Mummy?" The boys loved this one! I will admit that I only tasted the caramel bits as I don't like cheese and especially cheese flavored things. Personally I find the combination of cheese and sweet caramel a little odd but my boys didn't- they loved this stuff! 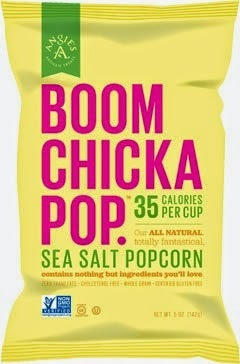 ANGIE’S Boomchickapop: Lightly Salted100% awesome. Perfectly sea-salted, this otherwise classic popcorn clocks in at a mind-boggling 35 calories per cup. Made to our exacting, simple standards. Really, at 35 calories per cup, you’re about to get snack-cessful up in here. 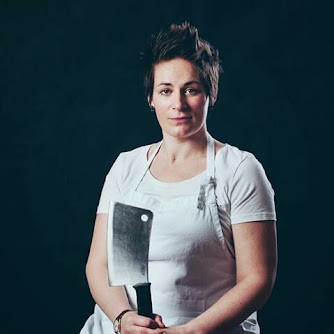 ANGIE’S Boomchickapop is a national brand distributed in natural food, grocery, club and mass retail outlets in all 50 states as well as in Canada. Led by founders Angie and Dan Bastian, 150 or so others now help make the magic and the popcorn happen on a daily basis. Together they make 80,000 bags of popcorn daily, deliciously ready for you. "Why is it salty not sweet"
"I think this must be your popcorn Mummy?, where is the caramel stuff?" OK, so I bought this one because it looked cool and at 35 calories a cup I figured that as a guilty, "I cant be bothered to pop my own popcorn", this could be a handy standby for those need to nibble moments. I loved this stuff- crisp popcorn and lip smacking saltiness- perfect snacking for me! The boys seem to enjoy the sweet stuff way more and I think when I was a kid, I did too so who is to argue. In all honesty I know its cheaper and healthier to just pop some of your own but when film night calls there is a certain slutty charm from dunking your hand into a bag of something sweet, salty, tasty and a little bit naughty! I was sent some G.H. 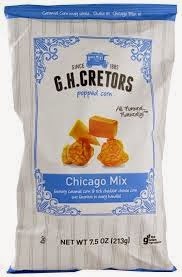 Cretors': Chicago Mix and Popcorn, Indiana: Chocolate Peanut Butter Drizzlecorn free to test for this blog post. As always, opinions, spelling mistakes and popcorn throwing children are my own.